I have to admit that I’m intrigued with the world of boondocking. For the uninitiated — or those who didn’t read my previous post on the subject — boondocking is the practice of traveling the country in an RV and finding places to camp free. 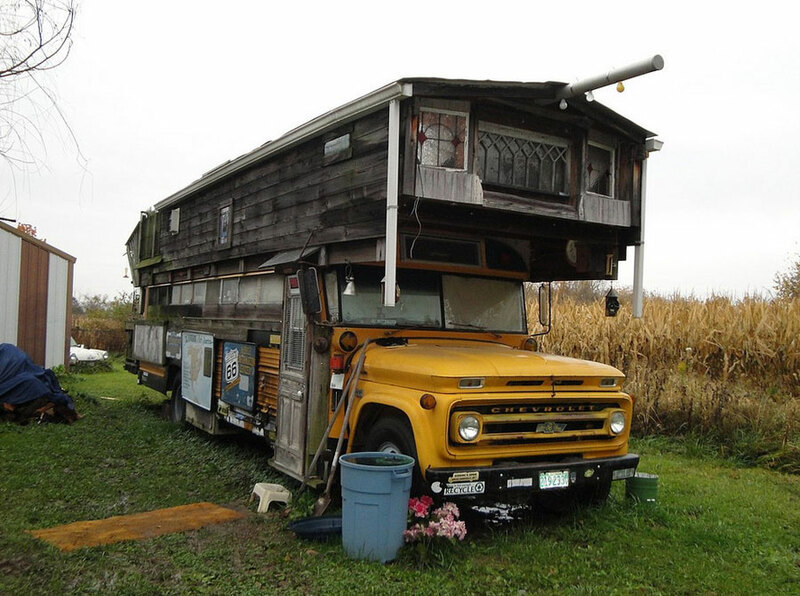 Boondocking has its own lingo, including the term “fulltiming.” That would the practice of living out of an RV or IRV (Improvised Recreational Vehicle) permanently. I guess there are all sorts of nuances to be considered. Things like how to get your mail forwarded and how not to get an unwieldy vehicle stuck in snow or mud. I’ve read a few blogs about the advantages and disadvantages of different types of vehicles. Apparently, ready-made RVs are prone to rodent infestation and school buses are frowned upon, if not banned outright, in some circles. Two bloggers recommended converting U-Haul box trucks. From my perspective, the only reason you would need such a massive vehicle is creature comforts. Toilets being a big one, apparently. There has been a lot written on that subject. Seems to me a shovel and a roll of toilet paper could save a lot of cost, not to mention the headaches of maintaining a mobile plumbing system. I wonder if there are minimalists out there, folks who do boondocking in small vehicles using ultralight camping gear. Not that I have an immediate inclination to go this route. But it would be fun to get out in the field, interview some of these folks and write about it. 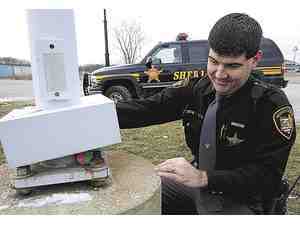 In today’s Mansfield News Journal is a story about a geocache that had been placed in a public park with permission. Someone spotted a couple of geocachers at the scene, thought they looked suspicious and called authorities. If the article is accurate, the complainant called all manner of authorities. Out came the fire department, bomb squad, and investigators with their 8-by-10 glossy photographs with the circles and arrows. And of course, the media, with suspense-filled live feeds in the form of tweets on Twitter. Apparently, authorities are considering felony charges against the person who planted the geocache. My friend Bill from Mansfield rightfully pointed out that this was a glowing example of the culture of fear in which we live. He didn’t come right out and say it but I think he was implying that this is the inevitable result of the kind of fear-mongering prevalent in politics and popular culture. Sheriff’s Deputy Randy Wood didn’t know “egg-xactly” what to make of it Saturday when he found a plastic Easter egg hidden in the base of a lamppost. He was even more puzzled when he opened it and found a list of dates and code names. A woman called the Sheriff’s Office on her cell phone at 12:15 p.m. and reported seeing a man and a woman place something inside the base of a lamppost and drive off. The caller gave a brief clothing description: The woman was wearing a bright orange windbreaker and the male reportedly wore a black hoodie. The caller remained at the scene and pointed out the location to Wood. Wearing rubber gloves, he collected the egg for evidence and took it to the Sheriff’s Office. Wood opened the egg and found the list of names. When he showed it to a dispatcher, she immediately recognized it as a geocache. For the Sheriff’s Office, the case was closed. But the Times-Gazette continued to investigate, tracking down the mystery woman in the bright orange jacket and her hooded accomplice. Lake County resident Melody Keeper made a full confession. She and her son, Kurt Keeper, were the subjects described in the Sheriff’s Office report. Ironically, her son is a law enforcement officer. Melody Keeper admitted she had committed a cardinal sin in the world of geocaching. Players are not supposed to wear anything or do anything to draw attention to themselves when approaching a cache. “We were trying to use stealth, but that obviously didn’t work, especially with my bright orange coat,” Keeper said. Translation, the family found the geocache while trying to avoid being spotted by a couple smooching in a nearby pickup truck. Unfortunately, they were noticed by a woman sitting in a car in the parking lot and she called the sheriff. “Muggles” is a term borrowed from the Harry Potter stories. It refers to a non-geocacher who stumbles on a cache or catches geocachers in the act. To be “muggled” is to have your cache found or to be spotted by a muggle. “That’s a whole ’nother game,” Keeper said. Munzee is a variation of geocaching in which players use smartphones to capture preformatted QR codes they post in all sorts of places. QR codes are those ubiquitous black-and-white square blocks that look like the picture on your TV set when the signal starts to break up. The Keepers are avid geocachers and have hidden their share of caches in Lake County and elsewhere. Their hunting party, which traveled through the area Saturday, included Melody, her husband, Carl, their son, Kurt and grandsons Ben, 8, and Devon, 5. The Times-Gazette also tracked down the man who planted the geocache, Doug Price of Columbus. He was passing through Ashland on his way to Lorain in November when he hid the egg. As Melody Keeper would put it, there’s a “whole ’nother” story behind the egg. That story started when Price found a geocache dubbed “Easter Bunny’s Revenge.” It involved a container filled with 40 plastic eggs, only one of which had the logbook inside. That’s where people write their code names and dates when they find a cache. Price duplicated the geocache and hid it in a park in Dublin. The cache was vandalized a couple times and, the last time he found it, all that was left were two different-colored egg halves. “I happened to have them in the car when I stopped in Ashland,” Price said. He put strips of paper inside to serve as a notebook, hid the egg in the base of a lamppost and announced the geocache online. It was first found Dec. 3. At least 40 other geocachers have come across it since, including the Keeper family. And, of course, Deputy Wood. It’s not unusual for geocaches — and an occasional geocacher — to end up in police custody. “I’ve come upon a scene where police were there trying to figure out what was going on,” Price said. In those cases, he just kept on driving. Although it’s relatively rare, geocachers have run afoul of the law. Some have been arrested for trespassing and a few geocaches have generated a response from the local bomb squad. In fact, Disneyland was placed under lockdown for four hours Saturday morning after a geocache was discovered in a tree at the park entrance. The hobby’s official website warns geocachers to avoid using containers that could be mistaken for homemade bombs and not to place them in high-security locations or public places that could induce panic. Geocachers also are advised to respect private property, which is why public parks are popular hiding places. However, given the staggering number of players and geocaches, problems are few. Geocache.com marketing assistant Kelly Ranck told the Times-Gazette in an email Wednesday that there are more than 5 million geocachers around the world and more than 1.6 million active geocaches.